Celiac or Coeliac disease, also known as gluten-sensitive enteropathy is an autoimmune disorder characterized by hypersensitivity of the small intestine causing an adverse reaction to gluten, thereby damaging the absorptive surface of the intestine. Consequently, it disrupts the body’s ability to absorb the various nutrients. Gluten is a sort of protein which is usually present in wheat and cereal grains such as spelt, durum, farina, einkorn, kamut, bulgur, semolina, and graham. seasoned snack foods like potato and tortilla chips, and other processed and packaged foods. Moreover, meat substitutes used in various vegan and vegetarian diets also include gluten as an ingredient. It may be present in beer, too. In fact, individuals suffering from celiac disease should even avoid, coffees, liquors, and vinegars as these beverages may also contain gluten to enhance the flavor. Thus, when suffering from celiac disease, you will have to eliminate all food items containing gluten from your diet. Furthermore, stay away from products containing modified food starch, malt flavoring, HVP/HPP (hydrolyzed vegetable/plant protein). So, you can have unprocessed fresh fruits, vegetables, fish, meat, eggs, and most dairy products. Celia disease is difficult to diagnose. More often than not, it gives rise to symptoms like chronic diarrhea, bloating, fatigue, headaches, sore skin rashes (usually around the knees, elbows, and buttocks), mouth sores, iron-deficiency anemia, osteoporosis, infertility, weight loss, etc. due to mal-absorption of proteins, fats, vitamins, and minerals. Basically, it is an autoimmune disease that causes inflammation of the inner lining of the small intestine, due to immune reaction to gluten. More often than not, it occurs due to genetic predisposition. This disorder, however, should not be confused with wheat allergy and non-celiac gluten sensitivity. Wheat allergy, for instance, causes allergy symptoms like hives, swelling around the throat and mouth, difficulty breathing, throat tightness, stomach ache, nausea, vomiting, indigestion, diarrhea, and so on. Here’s a video explaining about Celiac disease. Gluten-free products do not necessarily contain any gluten at all. Nevertheless, they use this substance as less as possible so that it does not cause harm. Moreover, embarking on a diet that does not contain gluten is the best way to deal with this celiac disease. 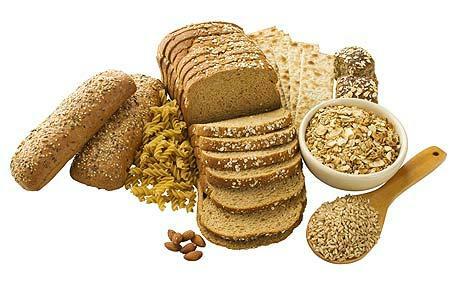 A gluten-free diet consists of grains and starchy foods like corns, rice, potatoes, soybean, tapioca, millet, arrowroot, buckwheat (commercial buckwheat products, though, contain wheat as well) chia seeds, flax, yucca, sorghum, lupin, amarnath, quinoa, teff, sago, taro, and montina. Oats, however, is a controversial food in this regard. In addition, most gluten-free products contain rice flours, nut flours like that of almonds, chestnuts, hazelnuts, coconut, etc., flours prepared from chickpeas, Fava beans (broad beans), Romano beans, soy, peas, potato starch, tapioca (root of the cassava plant), and so on. Moreover, you can use a combination of six parts of white rice flour, two parts of potato starch flour, and one part of tapioca flour mixed with xanthan gum (for elasticity) to prepare breads, muffins and cookies. Besides, you can look for gluten-free bakery products instead of ordinary breads, cakes, pastas, etc.